One of life's humble everyday objects. 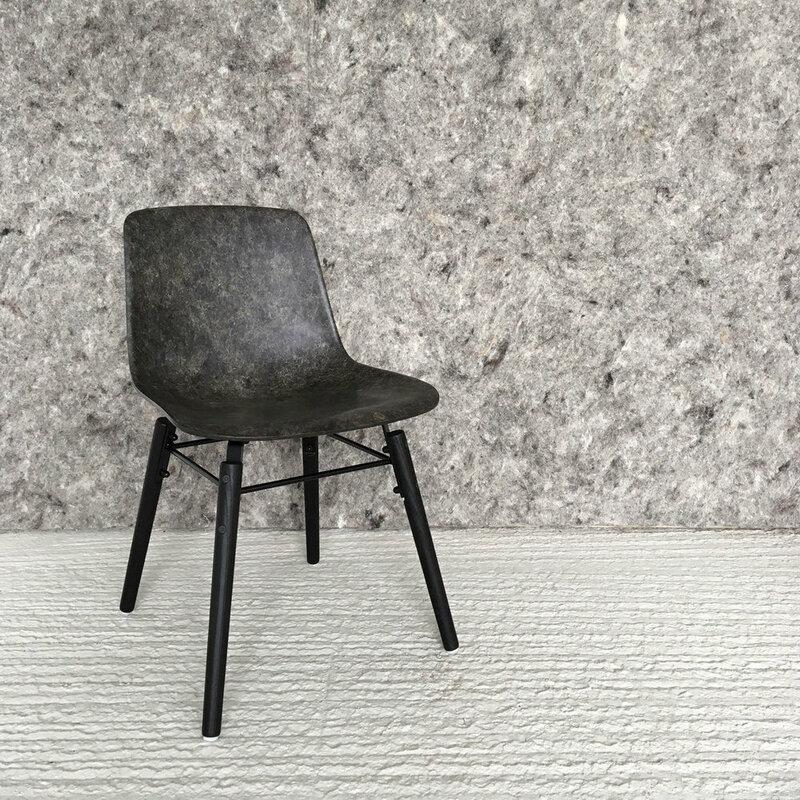 Designed for both comfort and style, the Hembury Chair is made with beautiful Solidwool to bring some natural wildness into your home or creative space. A chair to do your best work from. A seat for shared gatherings. A place to rest weary legs and mind. Inspired by the Eames Plastic Side Chair, originally manufactured using Fibreglass in the 50s, this design classic is re-imagined with our unique material. With simple lines and timeless appeal, this is a product to be cherished, but more importantly used. We will send a bespoke shipping quote based on the number of chairs you order. This allows for the best and cheapest quote to be offered. *Your place in the production schedule and an estimated delivery date will be emailed once you have placed your order. If you would like to know beforehand, contact us here. Our products are available to ship worldwide. For a bespoke shipping quote, click here.